Who wouldn’t want to feel like a princess (or a queen) on their wedding day? There’s a lot of things you can do to make your fairy-tale wedding come true, but if you want to feel like royalty on your wedding day and every day after, there’s only one way to make that happen — choose a diamond wedding set that evokes the timeless class, elegance, and grace of some of the most famous royals in the world. Here’s how to get the perfect women’s diamond wedding ring set so you can feel as special as royalty on a daily basis. Arguably the most famous royal ring in the world is the stunning oval cut sapphire that once graced the hand of Princess Diana and is now on the hand of her daughter-in-law, the Duchess of Cambridge, Kate Middleton. The key to replicating the iconic Princess Di look is the oval-cut shape and sapphire side stones. Opt for an engagement ring with a central oval-cut stone, flanked or completely encased by sapphires as it is in this gorgeous halo cut. 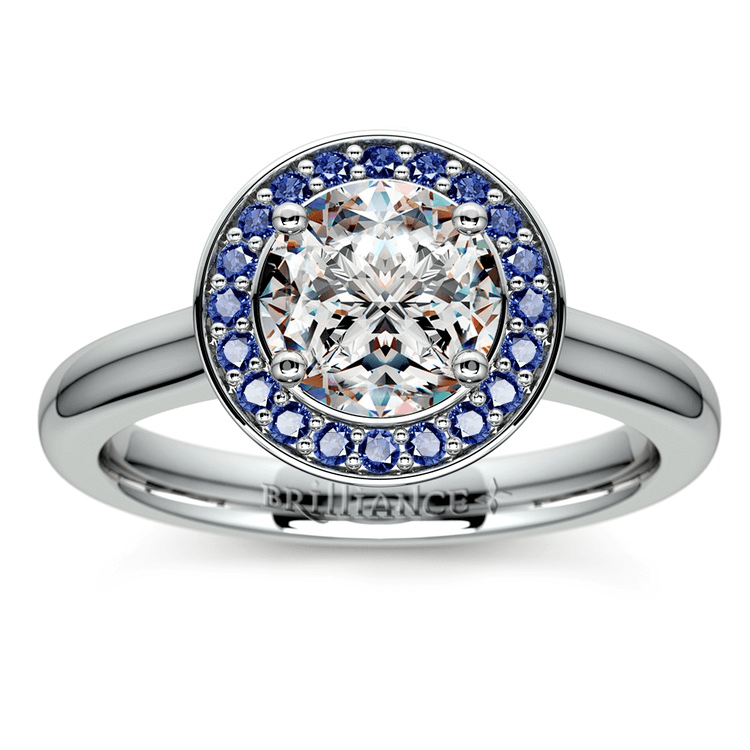 A matching pave diamond and sapphire band will make the perfect complement to complete the set. Maybe you’re super modern and want to feel like a very fashion forward modern princess. 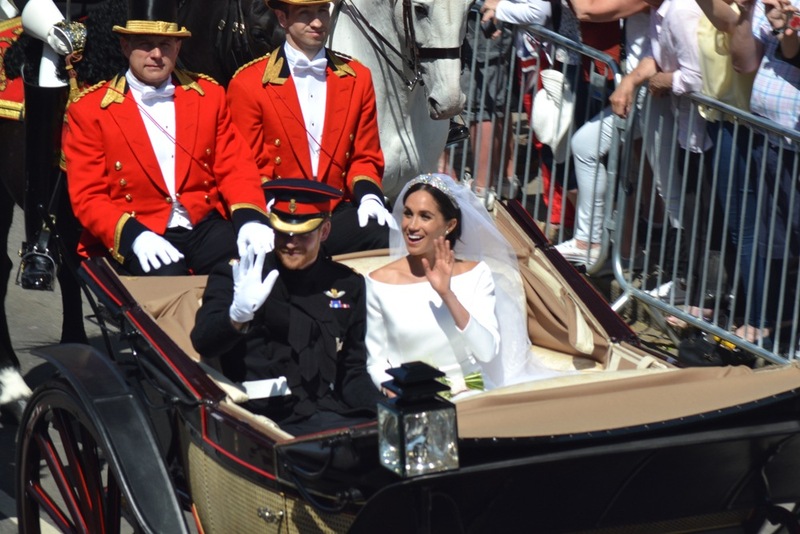 Though she’s not technically a princess, Prince Harry’s new bride Meghan Markle is the Duchess of Sussex and her ring made from a custom center cushion cut stone and flanked by two diamonds from Harry’s mother Diana’s collection is a piece of jewelry fit for royalty. Meghan’s ring is easy to replicate — opt for a cushion cut engagement ring flanked by two beautiful diamond side stones (and why not opt for the royal princess cut?). 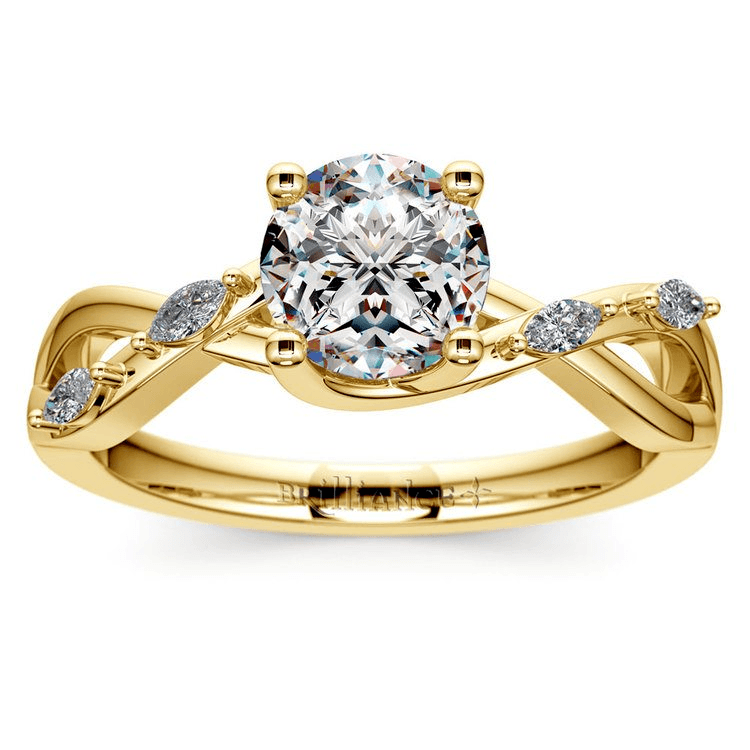 When seeking to echo Markle’s look, it’s crucial to use yellow gold (her favorite) for both the engagement and wedding band. Markle’s wedding band is a simple wedding band made of Welsh gold, and you can get a similar look with a bit more bling to match the cushion cut ring with a stunning inset diamond band in yellow gold. The Victorian era is notable for their distinct style, which possesses an elegance and femininity. Queen Victoria and her beloved husband Prince Albert make for one of the most famous love stories of all time, with the pair first meeting as teenagers and Victoria mourning Albert’s death sheathed in black until her death. If you want to capture the essence of the Victorian era and declare that your love is infinite, just like Albert and Victoria’s, opt for an infinity twist halo engagement ring, which evokes the filigree and ornate designs of the Victorian era. Yellow gold was the favored metal of the era (and the base of Queen Victoria’s wedding ring), so that’s your best option to really capture the feel of this particular royal. 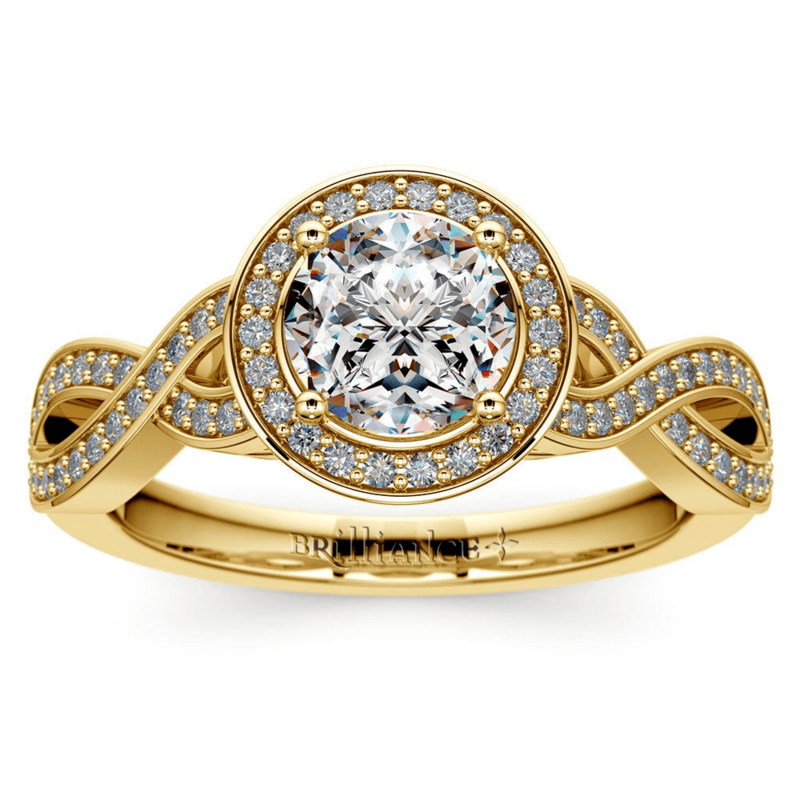 A matching infinity wedding ring in royal gold will help showcase that your love will truly live forever. Yes, we know Marie Antoinette is famous for losing her head over her callous self-absorption and over-spending, but she also had a mind-blowing collection of jewelry and made waves at court for her exotic, hyper-feminine fashions. If you want to the bling and eye-catching quality of Marie Antoinette, you can’t go wrong with a split-shank engagement ring in unique rose gold with a matching wedding band. Let them eat wedding cake! Grace Kelly is a double whammy when it comes to feeling like royalty. Before becoming Princess Grace of Monaco, Kelly was one of the most beloved movie stars of the 1950s, earning the adoration of millions onscreen before channeling her grace into the life of a royal. Kelly’s engagement ring with its emerald cut diamond and side baguettes was one of the most famous of its era (and noted for making an onscreen appearance in her final film High Society). Get the look with an emerald cut engagement ring with baguette side stones. 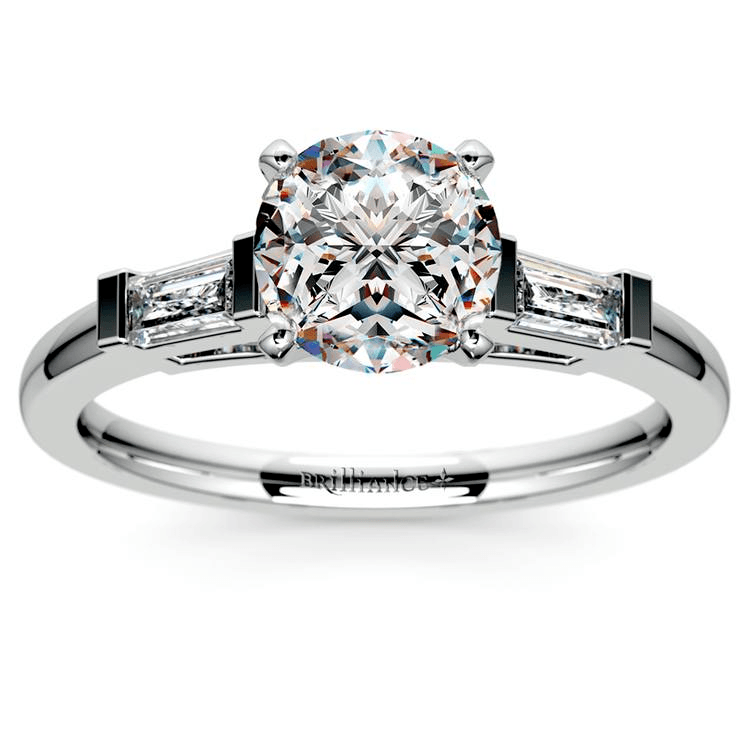 A baguette diamond ring is a gorgeous choice for a matching wedding band. Queen Elizabeth I was the queen of crafting her image through portraiture, which included depicting herself dripping with diamonds and gemstones. Pearls were her signature stone, so if you’re able to add a pearl accent to a ring, that’s a beautiful way to pay homage to her. But part of her iconography was linking herself to the sun and moon as both a goddess and the center of the universe. Echo Elizabeth’s ornate style and obsession with the heavens with an asymmetric sunburst diamond halo engagement ring and a matching sunburst diamond wedding ring. As Queen of Egypt, Cleopatra was one of the most regal figures of the ancient world. Twisting vines and snakes are often associated with Cleopatra as she is depicted in art and film. The Florida Ivy diamond engagement ring in yellow gold captures the ahead-of-her-time avant garde essence of Cleopatra. A matching ivy diamond wedding ring completes the look, for a matching ring set that’s far from a pain in the asp. Whether you want to take things back to ancient Egypt, are feeling Victorian or positively Elizabethan, or prefer your royalty a bit more modern, there’s a diamond wedding ring set for whatever your regal taste. Be you queen, princess, or anything in between, it’s easy to feel like royalty on your wedding day (and every time you look at your ring).